Do Trees Need to Be Trimmed & Does Pruning Trees Encourage Growth in Riverdale, GA? 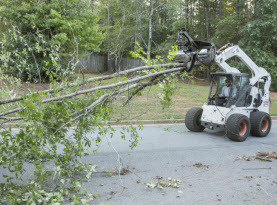 As necessary maintenance, pruning trees in your Georgia yard is crucial for overall health and aesthetics. Depending on the tree species and other circumstances, specific trees often require specific times of the year for pruning; typically, in spring or fall. Trees provide many benefits including producing fruit, elegant blossoms and radiant leaves, as well as offering shade for picnics, branches for tire swings, and good old fashioned tree climbing fun. Taking care of your trees is a needed in order to take advantage of the benefits your trees have to offer. Considering this, we at Milam Tree Services would like to list these benefits from having your trees pruned. •	Fine Tree Pruning. This is designed to remove the smaller limbs and increase the look of your trees. •	Standard Tree Pruning. Standard pruning is a bit more extensive as it goes beyond removing the smaller limbs and improves the tree’s branch structure. •	Hazard Tree Pruning. Hazard pruning is for trees with safety concerns. Branches that can cause damage or injury and measure 2” in diameter or more qualify. •	Crown Reduction. 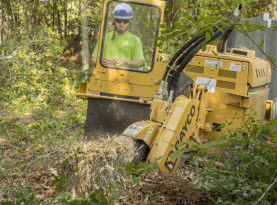 Crown reduction thins out the trees’ branches that have been abused by weather conditions or illness and need requires major branches to be removed. Branches that threaten power lines and structures are also in need of major crown reduction. 1) Fruit Production. Fruit trees are best pruned in the fall and when efficiently maintained, they can improve the production of size, quantity and better quality of the fruit. 2) Sun Exposure. Correctly pruned trees contribute to the adequate air circulation and sun exposure throughout the trees and underlying landscape for better health benefits. 3) Balance. Younglings need precise trimming to counterbalance the root system, that ensures your tree grows strong, straight and to help mold shape. 4) Create Space. Having your trees pruned properly will also open the view to your home as well as from your home to maximize the visibility. 5) Health. Healthier trees are contributed to proper trimming. Removing any dying limbs or branches inflicted with disease or pest infestation can be saved with the overall health of your tree. 6) Safety. They can pose danger to people and property when branches are compromised. Without warning, compromised frail, decaying limbs can break easily under the right conditions. Any thing or person can be hurt or damaged as these limbs fall. 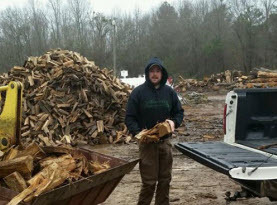 Costly damage or severe injury can be the result. 7) Aesthetics. Your trees beauty can be boosted to be more balanced and attractive with effective tree trimming. DIY tree pruning is dangerous and if improperly conducted, can result in damage to the tree. Additionally, there are many safety factors to consider when doing this job as a DIY project. The safety of you, others, and protecting property is the top priority with this task, which makes professional trimming a preferable choice. 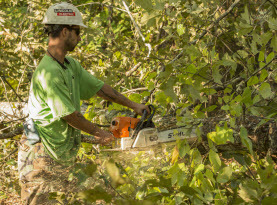 Call us today to schedule your appointment as Milam’s Tree Service professionals are trained in both safety and knowing all trees common to Georgia. We are more than efficient and affordable to take on the pruning of your trees.